Your Lawn. Our Lawn Care. Welcome to our top rated Lawn and Landscape management system backed by a team of Lawn Care and Technology Professionals. Provide us your address and how to contact you, and we will furnish you a Free Quote. Then schedule your lawn care and manage your account from either our intuitive website or by calling one of our local customer service reps. Pay as you go. Cancel any time. We will ask you a few basic questions about your location and provide you a free quote for your lawn care needs. Ready to get started? Call or click, provide your location details, and schedule your lawn care today. Schedule a regular service plan, set-up arrival and billing alerts, and more. Technology meets lawn care, and the winner is you! ZipLawn promises to provide you exceptional customer service and exceed your lawn care needs. With no contracts, you may cancel any time. 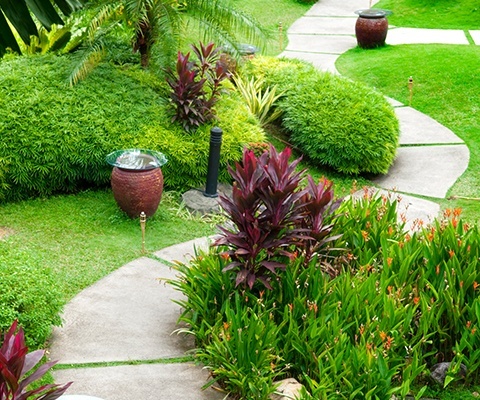 ZipLawn provides a complete array of Lawn Care and Landscaping services, including Mowing, Edging, Weeding, Clean-up, Shrub and Tree Trimming, Weed Control, Fertilization, Pre-emergent, Aeration, Soil Testing, and Targeted Insect and Pest Control. Subscribe to our newsletter to receive updates on ZipLawn's products, news, and special offers.